NFM’s Loan Assurance allows the purchaser to shop with confidence while letting the realtors know they have the best offer on the table. Not only will NFM Lending provide excellent customer service, our Loan Assurance Pre-Approval1 is backed by a Loan Assurance Certificate2. With NFM’s Loan Assurance, we put our money where our mouth is. In a competitive housing market, let NFM’s Loan Assurance protect your transaction! The final appraisal, with all revisions, must be received 5 business days prior to the closing date. The appraisal is not satisfactory – dictated by the program requirements/agency guidelines. Information provided by the borrower(s) on the application could not be verified or was inaccurate. The loan, as structured, does not meet federal/state regulatory requirements and/or agency guidelines. Loans with outside subordinate financing agencies or down payment assistance authorities determines and/or issues a letter of denial. These agencies are considered independent of NFM Lending. Title work on the subject property is not insurable and transferable. 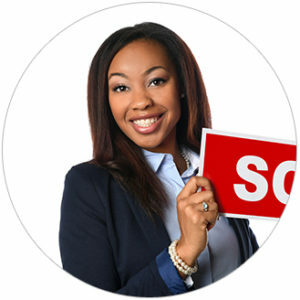 The seller must be able to provide clear title. If you do NOT qualify for the NFM’s Loan Assurance program, we will still make every effort to close the loan in the shortest time possible! Have any questions or ready to get started? Fill out this form to learn more! 1 - The Loan Assurance pre-approval is a verification of credit, income, and assets by NFM’s underwriting team. It is not an approval or commitment to lend and is subject to the restrictions stated within the pre-approval letter. 2 - The Loan Assurance Certificate will only be issued after it is determined the consumer is eligible to participate in the program. 3 - Loan approval issued will be subject to final appraisal, title, insurance review and other conditions noted in the pre-approval letter. 4 - This statement is not made based on verified consumer experiences. 5 - If the loan decision is delayed due to the action/inaction of the seller, the consumer will be ineligible for the $10,000 offered under this program. *The offer will only be paid if the buyer complies with all of the conditions of the program and NFM Lending fails to close the loan due to an oversight that NFM has committed. The Loan Assurance amount will be paid only if the borrower credit profile remains the same as during the conditional commitment. The amount paid by NFM will be determined based on loan cost incurred by the consumer during the application process. To qualify for this program, all the following must apply: The final approval cannot deviate from any terms of the initial approval. The loan closing cannot be delayed in whole or in part by actions of the buyer or seller beyond NFM’s control. NFM Lending will only pay the above fee directly to the consumer. The offer may constitute taxable income. Federal, State, and Local taxes and the use of the offer are the responsibility of the recipient. Please consult a tax advisor for more information. NFM, Inc. is an FHA-Approved Non- Supervised Mortgagee (19951-0018-0 and 19951-0000-7), Veterans Affairs Automatic Lender (659985-00-00) under the trade name NFM Lending, approved Fannie Mae Seller/Servicer (26859-000-5), approved Freddie Mac Seller/Servicer (183149), and approved Ginnie Mae Issuer (4365). NFM, Inc.’s agency and other state licensing information, please visit click here. 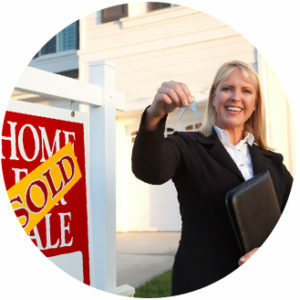 NFM, Inc.’s Nationwide Mortgage Licensing System (NMLS) Company Identifier Number is 2893 (www.nmlsconsumeraccess.org). NFM, Inc. is not affiliated with, or an agent or division of, a governmental agency or a depository institution. Copyright © 2018.